This month we announced our season of productions and events for the Autumn-Winter months, opened our production of A Taste of Honey to a string of four-star reviews, started rehearsals for our new musical, Bread & Roses, and launched Cultivate, a new festival focussed on theatre upskilling in June. Almost exactly 60 years to the date since A Taste of Honey’s premiere at Theatre Royal Stratford East, we opened our production of the ground-breaking Salford drama last Friday. Audiences and critics have praised this Coliseum revival featuring a first-rate cast, stunning set and nuanced, layered storytelling. A Taste of Honey is a gritty play about a mother and daughter trapped in a destructive and resentful love-hate relationship. Jo’s ambition is to get away from her alcoholic mother, Helen, who dominates her life. She falls pregnant to a sailor and takes comfort in the friendship of a gay art student. But can she stop herself from becoming the one thing she never wanted to be – just like her mother? Shelagh Delaney wrote A Taste of Honey when she was still just a teenager, living in Salford herself. Its instant success and long-standing impact is a testament to her understanding of the people and communities around her and the issues affecting working class people at the time. The play and subsequent film adaptation are often cited as the inspiration for Coronation Street, and are well documented as one of Morrissey’s lyrical inspirations. A Taste of Honey runs until Saturday 9 June. Tickets are available online here, at Box Office, or by phoning 0161 624 2829. Amanda is our visiting Director for Bread & Roses. She is the Artistic Associate and Change Maker at Hull Truck Theatre and (alongside writer Marcia Layne) the Co-Artistic Director of theatre company, Hidden Gems Productions. Which play have you really enjoyed directing? That’s like choosing your favourite child! For lots of reasons, I have enjoyed every single opportunity – even the tough ones because it has made me a better director. If I were to choose one the people I made the work with wouldn’t be too impressed either! I have had the pleasure of still being in touch with most of them and I’d like that to continue. I was invited to dress up as a ‘story time bear thing’ as part of the Greenwich and Docklands Festival when I was a local Theatre Studies A Level student. I kind of loved the parents and kids faces when I popped out of that suit for my breaks all gangly limbed with a shorts suit and tight plaits – it was hot in there! Did you always want to work in theatre? From about the age of seven when visiting theatre company, Greenwich Young People’s Theatre, came to our school. They had all kinds of people telling the story of the Jarrow’s marches. After that, I took every opportunity I could to be in productions. I played a determined Ariel in The Tempest at 17, joined the choir, played the trombone badly, danced with all my heart, if not precision, and gained a place at Manchester Metropolitan University and trained in Performance Art. I then acted and toured the North of England for a good solid ten years until I sought out the opportunity to direct. I love my job. How would you describe Bread & Roses in five words? Courageous. Timely. Joyous. Heart-breaking. Hopeful. What are you looking forward to about working at the Coliseum? The audience – they have quite a reputation for getting stuck in, just how I like it. What would your advice be for aspiring directors? Learn to communicate and read theatre in multiple ways, use your words and learn how to say it with kindness. If this is hard for you then you may have to think about finding another job. Could you tell us an interesting fact about yourself? I’m currently studying Early Modern European history 1500- 1780 at The Open University. It’s less than a month to go until Cultivate (Monday 25 – Saturday 30 June) a week-long festival jam packed with development opportunities, industry insights and more. Here’s a run-down of what to look forward to…. Monday 25 June: The Coliseum’s Learning and Engagement team will be running a Facilitation Workshop from 10am-4pm. It will focus on practical advice for anyone who is looking to further their skill set and learn how to facilitate drama workshops for young people. The day will look at different areas including structuring and planning; managing behaviours and how to deliver sessions. The session is suitable for anyone from absolute beginners to facilitators looking to refine their practices. Tuesday 26 June: On day two we’re joined by two local specialists sharing their expertise. 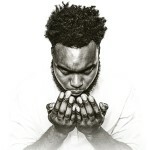 Manny Crooks will be holding two hour long sessions focused on Voice and the Actor from 10:30-11:30am and 12noon-1pm. Manny Crooks is a North West based vocal coach and singing teacher, specialising in the spoken voice, accent work and musical theatre repertoire. These sessions are perfect for anyone preparing for Drama School, looking to improve their voice and accent skills, audition preparation and more. In the afternoon, James Baker (Director of the phenomenally successfully Parade 2016, Hope Mill Theatre) will be joining us from 2-5pm to deliver a Musical Theatre Workshop. This will be an intensive session and suitable for actors looking to learn the craft and hone their skills. Wednesday 27 June: New writers and new writing fans, put this date in your diary! Our fantastic Scribbles group and local theatre makers will be sharing their work at our Studio Scratch performance from 2:30-3:30pm with pieces read by the Scripts play reading group. Come and listen to the range of work our talented new writers have produced. Then stick around for the New Writing Panel from 4-5pm, where you’ll have the opportunity to hear from professional playwrights. This is a great chance to ask them questions about their work and find out their processes from page to stage. Thursday 28 June: We will be holding Open Auditions. Our panel of experts will be Kevin Shaw, the Coliseum’s Chief Executive & Artistic Director; Chris Lawson, The Coliseum’s Associate Director; Claire Bleasdale, Casting Director; and Joanne Moss, ITV Coronation Street Casting. More details of how to apply can be found here. Spaces are limited and expressions of interests are being accepted until Monday 11 June. Please note, we are unable to see anyone on the day who hasn’t registered first. From 6:30-9pm, Common Ground will be discussing Career Progression as a Working Class Artist in Oldham. Common is an arts organisation which exists to support the UK theatre industry in achieving greater socio-economic diversity, and help artists from working-class backgrounds build sustainable careers in theatre. This discussion is exclusively aimed at artists based in Oldham and the surrounding areas who self-identify as working-class. Friday 29 June: Friday is a day jam packed with events, please book your sessions early to avoid disappointment! Join us at 10:30-11:30am for a brew and meet other local professionals looking to broaden their networks! From 11am-1pm, Art with Heart, a small company dedicated to creating high quality, accessible artistic experiences will be hosting a bespoke Introduction to Producing. The session will focus on the essentials to start out as a Producer and will look at every aspect from budget management, finding a creative team, contracting, supporting artist development and more. From 11:30am-1pm, Chris Honer (Director of Spring & Port Wine, 2016 and former Artistic Director of Manchester’s Library Theatre Company) will be hosting an Acting Workshop. This workshop will be full of expertise and look at different and practical ways to develop acting craft. At 11:30am-1pm and 2-3.30pm, Kristy Stott from Creative Tourist and Upstaged Manchester will be hosting Blogging & Content Workshops which will guide you through the processes of reviewing theatre, blogging and creating relevant content. The price of the session includes a free ticket to Coliseum production Bread & Roses for you to put your skills into practice. Art with Heart are sticking around 2.30pm – 3.30pm to deliver an Introduction to Small Scale Touring perfect for any aspiring and practising theatre makers/companies. The workshop will explore fundraising, tour booking, pricing your work, creating a tour budget and more. Saturday 30 June: Cultivate participants will be able to attend the 7:30pm performance of Bread & Roses for just £5. 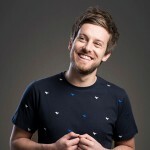 Brave, contemporary and classic theatre join comedy and Christmas celebration in Oldham Coliseum Theatre’s packed programme for the Autumn/Winter months. Oldham’s award winning home-produced drama sits aside co-productions with, and tours from, prestigious companies from across the country. The season opens on Monday 24 September with a week that brings the new and often daring work seen in the Studio theatre to the Coliseum’s Main Stage. Highlights include the Coliseum’s Pick of the Greater Manchester Fringe Festival; Manchester theatre company, Play With Fire; and Manchester Theatre Award winner The Narcissist in the Mirror by Rosie Fleeshman. From Tuesday 2 – Saturday 13 October the Coliseum presents Dishoom!, a new play by Gurpreet Kaur Bhatti, in co-production with Rifco Theatre Company as part of a three-year partnership. Set in the summer of 1978, Dishoom! follows teenagers, Simon and Baljit, who are inspired by the Bollywood classic film, Sholay. With the National Front on the streets and Simon’s dad burying his head in the sand in the pub, Simon and Baljit set out to change their world forever. Rifco’s previous productions at the Coliseum include hits: Britain’s Got Bhangra and Happy Birthday Sunita. 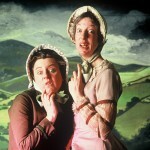 Manchester’s own award-winning comedy duo LipService are back with their cult Brontë spoof Withering Looks to mark the 200th anniversary year of Emily Brontë’s birth. Withering Looks takes an authentic look at the lives and works of the Brontë sisters, well, two of them actually, Anne’s just popped out for a cup of sugar. Maggie Fox and Sue Ryding just couldn’t resist the urge to dust off their crinolines, wear flattering bonnets and sit at rain-lashed windows in a pale and decorative manner. Withering Looks opens on Tuesday 16 October. English Touring Theatre returns to Oldham from Tuesday 23 – Saturday 27 October with their production of Othello. One of Shakespeare’s most startlingly contemporary plays, this is a masterful depiction of a life torn apart by prejudice and manipulation. Newly married Muslim general, Othello, is employed to lead the Venetian army against the impending Turkish invasion, but his life quickly unravels as he turns on everything he holds dear. 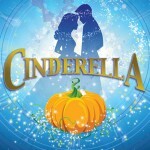 The highlight of the festive season is always the Coliseum’s nationally renowned traditional family pantomime, which this year is Cinderella. Each year the Coliseum serves up the perfect panto recipe – excellent actors, singers, and dancers dishing out the very best in traditional fun for the whole family – and not a cheesy celebrity in sight. Add some music and songs, slapstick and a sprinkling of fairy dust for the perfect festive celebration. The Christmas spectacular runs from Saturday 10 November – Saturday 12 January. In the New Year the Coliseum presents a home-grown production of Martin McDonagh’s A Skull in Connemara. Martin McDonagh is best known for feature films: In Bruges, Seven Psychopaths and Three Billboards Outside Ebbing, Missouri (winner of three BAFTA Awards and two Golden Globe Awards). A Skull in Connemara is the second of his Leenane Trilogy of plays, premiered in 1997 at Town Hall Theatre, Galway. Mick is a gravedigger whose wife died under mysterious circumstances some seven years ago. Rumour has it, it was murder. When the time comes to exhume bodies from the Connemara graveyard he finds her bones are missing. 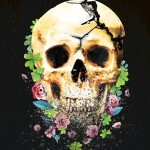 A Skull in Connemara will be directed at the Coliseum by Associate Director, Chris Lawson, opening on Friday 22 February. Opening on Tuesday 12 March, Middle Ground Theatre Company present Barry Reed’s best-selling courtroom thriller The Verdict, which was made famous by the Oscar nominated film with Paul Newman and James Mason. Washed up veteran lawyer, Frank, is given an open-and-shut medical malpractice case that no one thinks he can win. Smelling a cover-up, he instead takes the case and the entire legal system to court. Middle Ground Theatre Company’s production features star casting which will be announced in the coming months. Last, but certainly not least, hilarious stand-up comedy filters throughout the Coliseum this season. American-in-the-UK, Rich Hall, presents his Hoedown on Saturday 22 September; critically acclaimed Chris Ramsey comes to Oldham as part of his The Just Happy To Get Out of the House Tour on Saturday 29 September; Phoenix Nights’ Barbara Nice presents the playful and life-affirming Raffle on Monday 29 October and Manchester’s Justin Moorhouse presents Northern Joker on Friday 15 February. The Coliseum’s Autumn/Winter 2018-19 Season Ticket offer includes: Dishoom!, Withering Looks, A Skull in Connemara and a choice of either Othello or The Verdict. Earlier this month we welcomed Sarah Burrill and Little Diamond Theatre Company (September in the Rain) back for their production of hilarious black comedy The Woman who Cooked her Husband. The production raised funds for our neighbours Mahdlo Youth Zone who continue to offer amazing opportunities for young people interested in the arts. Guests and supporters of Mahdlo enjoyed a drinks reception and wonderful food provided by the Youth Zone. 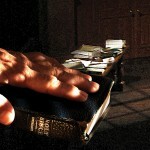 Guests included Frank and Judith Rothwell, Ariel Lees Jones and David and Janelle Barker. The show was extremely well received and many commented on the performance of multitalented Sarah Keegan who entertained the crowd with a unique blend of cheeky northern comedy and her spectacular voice. On Saturday 21 July, the Coliseum’s youth theatre, TheatreLab present Extracts from The Crucible, Arthur Miller’s chilling tale of the Salem Witch Trials. This classic parable of one of the strangest and most awful chapters of human history delves into how the small community of Salem is stirred into madness by superstition, paranoia and malice. Inspired by real events, The Crucible is a savage attack on the evils of mindless persecution and the terrifying power of false accusations. TheatreLab is a youth theatre group for 13-21 year olds. The group meet at the Coliseum on Tuesday evenings to explore different forms of theatre. Tickets for Extracts from The Crucible are £3. Learn more and book online here. The Coliseum loves brass bands, especially when combined with moving drama such as Brassed Off. This special one-night event is brought to us by singer and storyteller, Bernard Wrigley, who appeared in the film, the stage play and the Victoria Wood send-up of Brassed Off. He’s no stranger to the Coliseum stage either, having performed here countless times, whether that be singing, or reading from his books of one-verse poems: Shorts For All Occasions, The Longs and Shorts of It and Shorts Forever. Introduced by Bernard, the celebrated Rivington & Adlington Brass Band will be playing all the music from the film and the play, Brassed Off. Brassed Off, A Brass Band & Bernard takes place at the Coliseum on Friday 15 June. Click here to learn more and book tickets. You don’t need to do anything to keep receiving news from us. We’ll keep you updated with information about the Coliseum including upcoming shows, casting announcements, the new Coliseum on Union Street and special offers. If you no longer want to receive this information you can unsubscribe at any time (there’s a link at the top and bottom of every email) or you can change your communication preferences when you log into your account here. Meet Shelly, the Coliseum’s high-flying Communications Officer. I’ve been here since December 2014. I started working at the Coliseum during the run of pantomime that year, which was Aladdin, and my first day was actually only a few days before our company Christmas doo. At the party I was sat across the table from Fine Time Fontayne and it was the first time I’d seen him not dressed as a dame! I’ve got a soft spot for The Mist in the Mirror because it was the first show I worked on here, and as it went on national tour, I was actually working on it from December right up until May. I loved the way the community got involved with Dreamers and Meat Pie, Sausage Roll and I’ve also seen our current production, A Taste of Honey, twice already – and I highly recommend it! Everyone who works here is absolutely lovely and that includes our casts and visiting directors. I like to spend my lunch in the Green Room when I can get to know the cast. Right now I’m collating and sharing all the reviews for A Taste of Honey and working on my press campaign and the programme for Bread & Roses. I’m co-writing and editing this very newsletter (I didn’t interview myself though! ), working on the brochure for our new season and planning my campaigns for the autumn shows. I’m also working with the Communications team from Oldham Council on communications plans for the new Coliseum, which is going to open on Union Street in 2020. 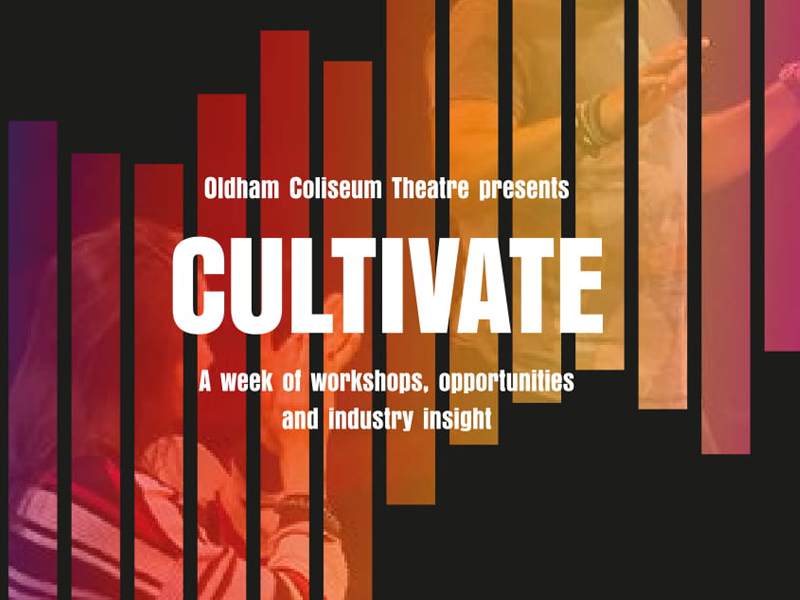 I’m really looking forward to Cultivate in June, it’s a week of workshops, talks and industry insight. I’m going to see if I can go to the workshop on blogging and content if I have some spare time away from my desk! I’m also really looking forward to Bread & Roses – written by Ian Kershaw, the same writer as The Mist in the Mirror, and working with the director, Amanda Huxtable, on potential press stories. In my free time I train in aerial arts (think circus!). I’ve been training aerial for five or six years now and it’s a really good way to end the day. I went to my first aerial class as something to do for exercise that wasn’t just the gym and I fell in love with the excitement of flying, posing upside down from heights (often with a crash mat beneath me) and the difference I saw in my strength and capabilities. The aerial community is really friendly and supportive and I’ve met so many great friends through it.